Auguste Petard | Historic Jacksonville, Inc. In 1896 a group of French settlers arrived in Jacksonville intent on establishing a large-scale grape and wine industry. One of these individuals, Francois Loran, was granted the parcel of land located at 860 Hill Street where he constructed the initial box house that still stands on the site. In 1918, the property was acquired by Auguste Petard, another Frenchman and winemaker. Petard had come to America in the late 1890s to make his fortune mining gold—only to find he was 50 years too late. He was headed for the Yukon when he stumbled across Jacksonville. 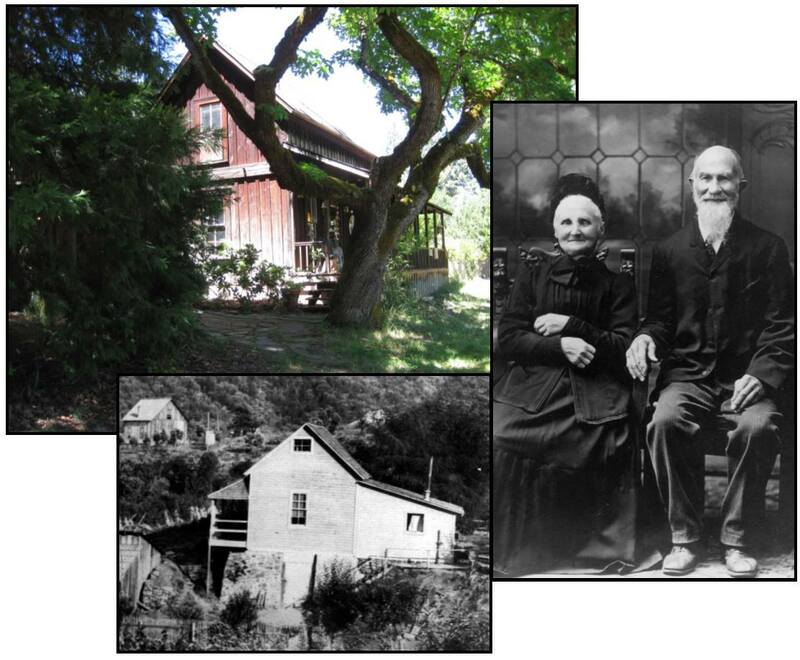 He purchased a claim at the head of Rich Gulch and again tried mining—constructing the irrigation ditch that bears his name. He mined enough gold to acquire additional property including the Hill Street site, and again turned to grape growing and winemaking. Petard, with his wife Marie and their sons, farmed about 20 acres, selling most of their grapes to other winemakers while producing enough vin ordinaire for the family. However, Petard was again a victim of timing. The 1919 Volstead Act prohibited the production and consumption of alcohol, and in 1922, the Women’s Christian Temperance Union accused the Petards of making and selling “bootleg wine.” The sheriff confiscated 600+ gallons of wine (over $4,000 worth) and poured it out. The 79-year-old Auguste was fined $75 and barely escaped a jail sentence. The Petards had to content themselves with growing table grapes—although there may have been a barrel or 2 of wine produced on the side….